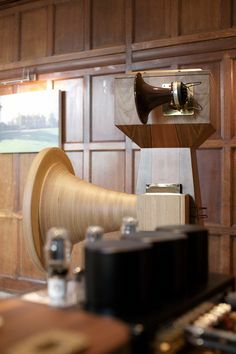 All passive, fully horn loaded, three way loudspeaker. 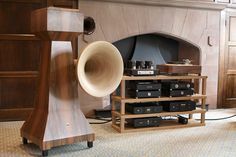 ANIMA’s distinguished design is build around it’s bass horn which stands tall and fires to the floor. Mid height on the side the mid range horn and on top the high range horn. Horns are mechanically time aligned for a time coherent result. 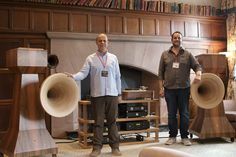 Massive 15” woofer for low frequencies and 5” for mid frequencies both upgraded in house. 1” compression driver with neodymium magnet and titanium diaphragm for high frequencies. Bass and mid horns are build of grade A, 13 layer Baltic birch plywood while the high horn is build from our proprietary epoxy with several aggregates compound. 1st order networks used in all ways. 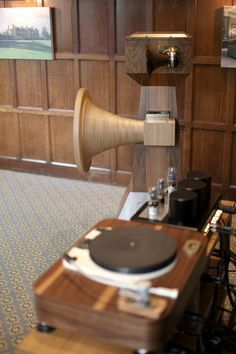 Crossovers are located at the bottom of the bass horn which allows the crossover parts be well spaced to avoid any kind of interference and distant from all driver’s magnetic fields. Components are hand selected and hard wired for best contact (no PCB). 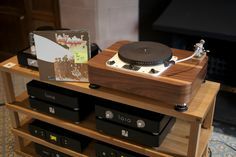 User adjustable mid and high frequencies level which allows to fine tune ANIMA to the listening room. 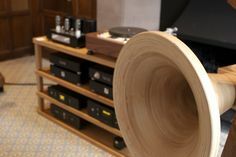 Beaming adjustment of the high frequencies horn is also available to match the listening position. Recommended Amplifiers: Low-mid powered, tube SETs or solid state. Low or no feedback designs are recommended.